Starting from IdSurvey 6, we updated the IdCode tools window. 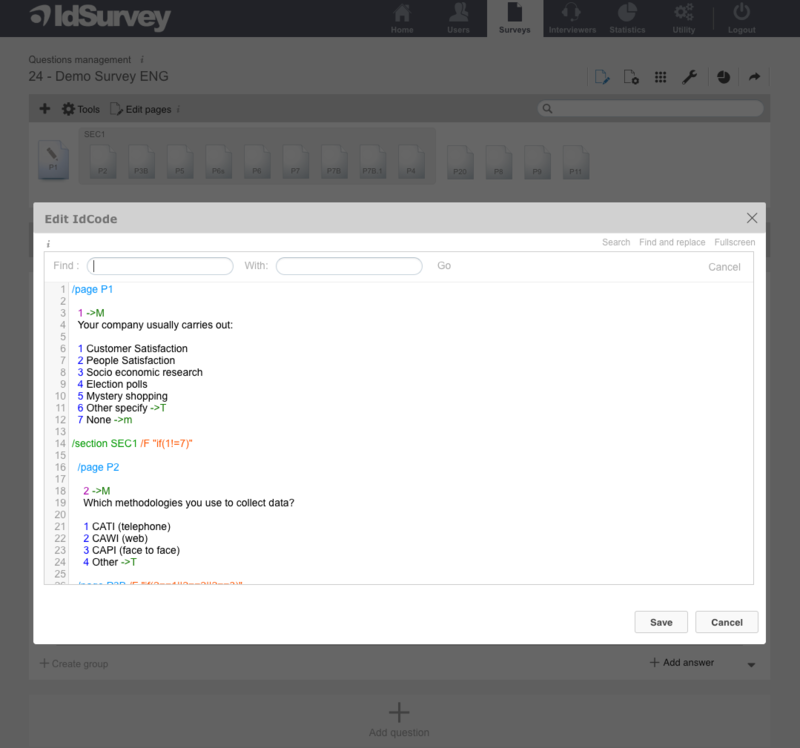 You can open the ldCode of the entire questionnaire by clicking on the Tools button of the pages box and then on “ldCode – Display questionnaire script”. You can open the ldCode of the single page by clicking on the ldC button in the page menu bar. When you open the ldCode you can now display the window in fullscreen by clicking on the corresponding button on top right. We also updated the IdCode tools window so long text of pages, questions, display conditions or answers will be automatically displayed in multiple lines with no need to scroll horizontally.